SOUTH OZONE PARK, Queens (WABC) -- Police are looking for three suspects in the robbery of a would-be Good Samaritan in Queens. Around 7:30 p.m. Dec. 15, police said three people acted as if their car battery was dead near Rockaway Boulevard and 131st Street. A man saw the group with jumper cables and stopped to help them. According to the New York City Police Department, one of the suspects then grabbed the victim's wallet and a struggle ensued. The suspect bit the victim's hand causing bruising, and a second man threatened the victim with a knife and cut the victim's hand and nose, police said. The two took the victim's credit cards, about $800 in cash and his cellphone. All three then fled in a black Hyundai. 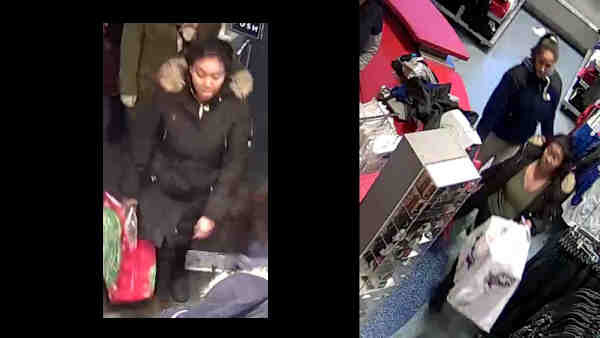 Two women later used the victim's credit cards to shop at Bath and Body Works, and Champs, police said.